Transposition of the great arteries (TGA) is a congenital birth defect concerning the heart. The condition involves the aorta that connects to the right ventricle and pulmonary artery that connects to the left ventricle. At birth, the child is born with two main arteries that have transposed (reversed) when leaving the heart that change the way the flow of blood circulates throughout the body. The defect causes an oxygen shortage in the flow of blood out from the heart to every tissue in the body. The oxygen blood limits the body to function properly, that if left untreated can cause serious complications or death. Fortunately, doctors can usually detect transposition of the great arteries while the child is still in the womb or within the first few hours, days or weeks after birth. Typically, the most common treatment for transposition of the great arteries as corrective surgery that if successful will leave the child with the promising outlook (prognosis) for the remaining years. Who Is at Risk for Transposition of the Great Arteries? The Mother's Age – Women 40 years and older are at greater risk of the child being born with Transposition of the great arteries. Oxygen-Poor Blood – When the babies tissue receives insufficient amounts of oxygen, it can lead to hypoxia. Without correcting this severe problem, the child will likely not survive unless sufficient amounts of oxygen are delivered to every tissue and organ of the body. Heart Failure – If the heart does not receive sufficient amounts of oxygen-rich blood to meet the needs of the body, it can cause higher blood pressure and cause damage to the right ventricle. 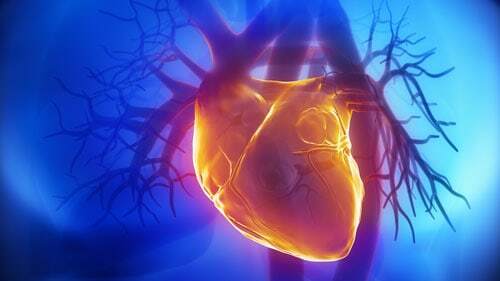 The added stress on the heart muscle can weaken or stiffen the right ventricle. Lung Damage – The failure to pump sufficient amounts of blood to the body can cause considerable damage to both lungs, resulting in breathing difficulties. The condition is a congenital heart defect, meaning it developed when the fetus was growing and the heart was forming. However, the exact cause of the condition has yet to be determined. Without the defect, the pulmonary artery carrying blood to the lungs from the heart before it receives oxygen is attached to the right ventricle (lower right chamber) of the heart muscle. Next, the blood moves into the heart's left atrium (upper left chamber) to the mitral valve and enters the left ventricle (lower left chamber). Normally, the aorta attaches to the left ventricle and is used to pump oxygenated blood from the heart to every tissue and organ in the body. However, children who are born with transposition of the great arteries have a defect where the position of the aorta and pulmonary artery are reversed. This causes oxygen blood to circulate the heart'[s right side and into the body without becoming oxygenated through the lungs. This oxygen deprivation causes a blue tint (cyanosis) to the skin, which is why the condition is often recognized as a cyanotic heart defect. Sometimes, the noticeable signs and symptoms associated with the condition do not appear when the child was in the hospital after birth. If they do arise, it is essential to seek out immediate emergency medical assistance, especially if indicators like cyanosis (the blue discoloration of the skin) becomes noticeable on the body and face. While some babies' birth defects involving transposition of the great arteries are diagnosed prior to being born, it is often extremely challenging to detect or identify the defect while in utero. Normally, the doctor will not order a prenatal test to look for the specific type of heart defect unless they suspect the baby could have the problem. However, once the child is born the doctor will typically suspect a heart defect including transposition of the great arteries if the newborn appears that be experiencing cyanosis (blue tinted skin) or is having difficulty in breathing. Before diagnosing the defect, the doctor might suspect the child has another birth defect including atrial septal defect where a hole appears in the heart's upper chambers or a ventricular septal defect if a hole develops in the heart's lower chambers. Echocardiogram – Using ultrasound equipment, the technician can capture an image of the moving heart using sound waves bouncing off the heart muscle. The moving into bridges can provide a better diagnosis of transposition of the great arteries by watching the blood flow to the pulmonary artery and aorta. This test also identifies other associated defects including patent ductus arteriosus. Cardiac Catheterization – Inserting a catheter into the leg of the child and threading it up into the interior of the heart can provide valuable information on the function of the heart muscle. Electrocardiogram (ECG) – Measuring the electrical activity of the heart during contractions can provide valuable information on heart function and the presence of one or more defects. Chest X-Ray – While in x-ray does not provide conclusive information on diagnosing the condition, it does detail the size of the heart muscle and the position of the pulmonary artery and aorta. After an accurate diagnosis has been made, the doctor will prescribe medications to ensure the pulmonary artery and aorta remain open until corrective surgery can be performed. Usually, the doctor will perform an arterial switch operation or atrial switch operation to correct the condition. This is followed up by life-long care by a cardiologist to monitor the child's development into adulthood or the development of other associated problems including heart valve leaks and arrhythmias.